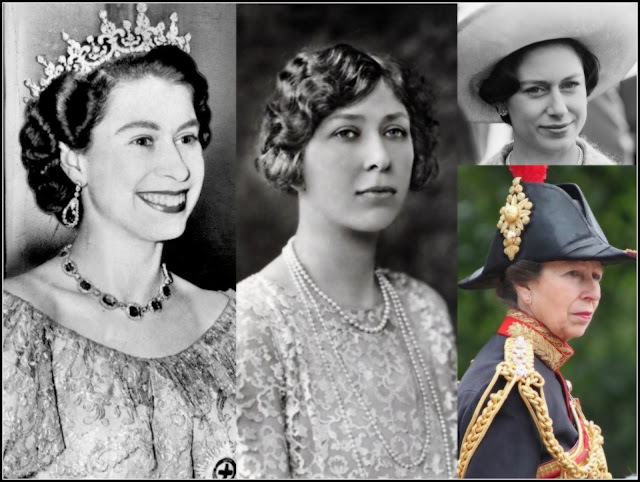 Princess Astrid was a very determined royal bride. Her choice of husband was Johan Martin Ferner, a successful businessman who also happened to be a commoner and divorced. The relationship was frowned upon in some circles but Astrid had made her mind up and a simple wedding was planned for January 12th 1961 in the parish church at Asker. The bride would lose her HRH as a result and to underline just how 'ordinary' this marriage was, Astrid kept it simple with the dress. Her gown was pure white (this was a winter wedding after all) with a high scalloped neck, long fitted sleeves and a full skirt that spread out rather discreetly from the waist. It was made of point d'esprit and the skirt has bands of silver embroidery running around it. So far, so very 1960s royal bride. What sets this apart from other royal wedding dresses is that there was nothing else. No train, not even a hint of a teeny little piece of fabric coming from the back of the skirt and no big long veil. 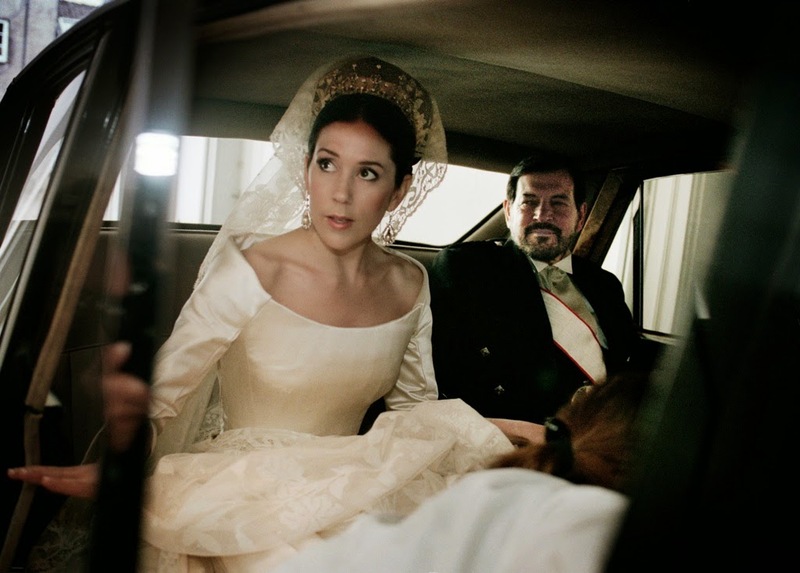 Astrid kept that very simple with a small tulle veil placed at the top of her head and held in place with a white clip. No tiaras, no foray into the royal jewellery box, just a simple 60s headdress that wouldn't look out of place in any other wedding photo of the time. Astrid and Johan Martin Ferner were happily married for 54 years until his death in January 2015. Like their marriage, this princess' royal wedding dress stood the test of time. It might be among the most discreet of the 20th century but it has a charm all of its own and it suited the wearer down to the ground. Like the princess that wore it, Astrid's wedding dress is unusual and does things its own way and has charm and elegance to spare. 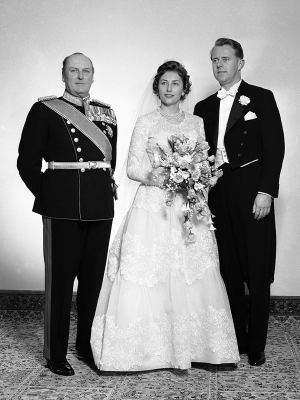 Princess Astrid's dress reminds me of my cousin Carmen's dress. She was married in 1962 and her dress was exactly this style. It's pretty, feminine, and very flattering. And my cousin's marriage has also been very good- still going after 56 years! Princess Astrid seems to be so down-to-earth. She's one of my favorite royals.